Reached at his California home and told that Myers was spreading nice stories about him, the former U.S. Marine and Petrolane president gave a dismissive snort. He was quick to add that someone should say something nice about fellow Stanford alumnus Rudy Munzer, his predecessor at Petrolane. It’s clear that if you’re going to look for John Wallace to blow his own horn, you’d better find something pretty good to amuse yourself with while you wait. Following school and World War II military service, he joined his hometown-based company in 1950. At the time, Petrolane was still a sleepy retailer with a half-dozen plants in California providing LPG to fuel the tractors and stationary engines that worked the fertile farmlands across the state. After another tour of duty in the Korean War, Wallace returned in 1952 to work as a dispatcher for Petrolane’s wholesale operation in Bakersfield. 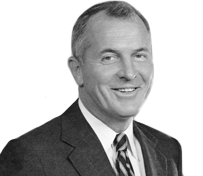 Company sales surged into Nevada, Utah, Arizona, Montana, Washington, Oregon and Alaska through the decade, and his work on the retail side earned him the title of executive vice president by the mid-1960s. Amid federal anti-trust pressures, Petrolane began to diversify with the purchase of a supermarket chain in 1964. It later added a line of auto service stations and seven petroleum service firms. By the late 1970s, the publicly owned, Fortune 500 conglomerate operated 550 propane plants in all but a handful of states with annual sales of 800 million gallons. But Petrolane’s leaders focused on more than corporate growth. They observed that most decades-old propane installations lagged dramatically behind the arc of equipment development and safety training. “As we went around to customers we noticed things that were unsafe or could be made safer and thought maybe we ought to check these things out,” Bob Myers recalled. Another Myers, Dan, the former National Propane Gas Association (NPGA) executive vice president, recalls the company’s graphic display of concern. “Petrolane’s office had a ‘wall of horrors,’ a board on which they mounted some of what they found: pipe connections held together with Scotch tape or baling wire, valves not intended for gas use, lines plugged with bubble gum, pipes connected with right-hand thread,” he noted. Petrolane officials set out to take inventory of customer appliances – their types, age and the condition of the installation – through customer visits. The data gathered was then formatted into a computer, Bob Myers recalled. “It was part of a marketing program as well because then we knew when a customer would be in the market for another appliance. At that time, we probably had 450,000 to 500,000 customers, so this took a tremendous effort,” he says. He also admits pushing to add import terminals in Rhode Island and Los Angeles to the company arsenal. Solidifying the supply picture was increasingly critical as Petrolane expanded its sales to states across the Midwest, Northeast, South and in Europe. “In our New England operations, we ran into a situation where customers couldn’t get the propane they needed. We furnished some supply and landed on the fact that Venezuela was flaring propane and had no market. We made a deal with those guys to buy it for a very reasonable price,” Wallace recalls. “In that environment, through John’s direction, we saw Venezuela, Algeria and the Mid-East had huge quantities of propane available so we built import terminals to receive water-borne shipments. At the same time, the London office was established for the acquisition and trading of foreign supply,” he says. Petrolane went 53 years before suffering its first annual loss amid a prolonged slump of the oil industry in the early 1980s. Wallace said the deregulation of the oil industry “was the game-changer that led to the downfall of Petrolane.” Despite consecutive months of record retail propane sales in its final, frigid winter of 1983-84, company stock prices had dropped under $12 a share. As Petrolane’s last president and chief executive officer, Wallace was the key player in orchestrating a $1 billion sale to energy giant Texas Eastern Corp. for $20 a share. Wallace’s style and leadership skills played no small role in driving Petrolane’s impressive success. At 84, from the Long Beach neighborhood where he grew up and still lives with his wife, Ali, Wallace says his Petrolane experience remains unique. “There were so many guys like Bob Myers that were just nuggets. Guys like Gene Adkins, Bill Denny, Frank Maple, Larry Summers and many more. Of course, if Rudy Munzer were alive, he should be honored in my place (in the Hall of Fame). They made me look good,” he maintains.